Mix all ingredients in a high power blender for about 5 minutes. Either chill in fridge or add some ice, blend again and enjoy. Note: the chili pepper gives it a little kick, start with a sliver and add more to taste. 90 members have added this recipe to their cookbook. Low carb bake that is perfect for breakfast. 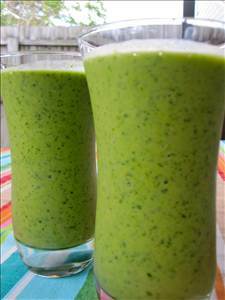 There are 108 calories in 1 serving of Sweet & Spicy Green Juice. Calorie break-down: 5% fat, 87% carbs, 8% protein.